Hello, I am wondering what you use to clean the furniture before applying the chalk paint? I have read just warm water, but what if more is needed to clean it? Would lemon water or vinegar work? Yes, I use warm water or warm water+vinegar or if it’s really grimy, I use TSP Julie. Hi, thanks for the article. I am hoping to paint my dinning table and was wondering what kind of spray gun will work best with Chalk paint (with calcium carbonate) and latex paint? Shelley,this is the Spray Gun I USE and I love it! I’m repurposing old frames and making chalkboards for my grandkids — used already mixed Chalkboard paint. I painted 3 coats (each a different direction) and it’s now dried and showing brush marks. Can I sand it down and use a better brush for a smooth finish? Yes, sanding helps knock down brush strokes. Slightly thinning the paint (with a small amount of water if it’s thick) and a better brush will also help. Another tip, when painting – paint in the same direction for every coat applied. Have fun LouAnne… I’m sure your grand kids are going to love it. I made a batch with the plaster for my bathroom cabinet, sealed it with crystal clear water based poly. Came out great! I didn’t sand it for a distressed look (since it was a cheap junk cabinet) but the coverage was AMAZING! Pam, Varathane has a Non-Yellowing water based poly that I like to use. I’ve used it on numerous pieces and I’ve never experienced cracking or yellowing. Wax is also great for DIY Chalky Painted pieces. Hi Denise I just have started to use this homemade chalk paint recipe and have been looking at lots of tips and tricks. My question is I have used plaster of pairs for another diy, without knowing I just left it in my basement open. Now my basement is clean and not damp. Is it true if you haven’t sealed the bag up tight it wont work as well for the recipe to make chalk paint? Or is it if it just it gets wet,and, or does it loose it formula to do what its suppose to do? thanks so much! Hmmm… great question and I’m not sure Sandra. I would guess that so long as it’s not damp or wet it would work just fine. Maybe try/test a small amount before using on a project though. ?? Here is an answer to your question about having left your POP out, uncovered in your basement… ANYTIME plaster or gypsum is left out, exposed to the air, the moisture in the air will change the way it works when it mixes with water. The plaster, having absorbed moisture from even a ‘cool, dry place’ will not absorb properly when later mixed with water. It will not set up or cure properly either. The end result is that the plaster does not bond to itself the way it should and will ‘powder off’ like an old whitewashed fence does when you lean on it. I love all about getting old stuff and “rejuvenating” it! So far I have not done any myself but I have a couple of pieces that i want to paint with Chalk Paint” and thank God for your recepies because buying the real thing would just be like buying new furniture, almost! In all the videos I have watched the end process includes adding some kind of wax or sealer after the chalk paint is dry….which one do you suggest to use? I thank you again for sharing the recepies. Hi Annie! I prefer using a water based poly for high traffic items like say a kitchen/dining table, and wax for lower traffic items, dresser etc. We used a homemade chalk paint on our dining room table. We applied the sealing wax and let dry for a minute or two then wiped off. It took paint with it when we wiped it. Any ideas on what we did wrong? Yikes… frustrating I know! It sounds like the paint did not adhere properly Carrie. This could be insufficient dry time, humidity or possibly it was a glossy surface that might have benefited from a light sanding prior to painting. Thanks for the reply, I’ll try that next time. With the store bought chalk paints, I have read that you have to let it cure for many days (like 30??) before waxing. I just painted a dresser with homemade chalk paint made with plaster of paris, and I wonder how long before I should wax it. I want to sell it, but I want to make sure the paint has properly cured before selling it. What are your thoughts about curing? Great question Alysa! I don’t know of any professional furniture painter(s) that waits 30 days before waxing. So long as the paint is THOROUGHLY DRY, it can be waxed. After the wax is applied, it will take about 30 days for the entire piece to cure 100%. If a client comes to p/u (or I sell) prior to the 30 days, I always advise not to put large/heavy items on top until its fully cured. Thank you for evaluating the various homemade recipes and finding the best one and sharing it with us! I love your blog, it so interesting thanks for sharing your tips. I have a question, I use the calcium carb recipe but am really struggling to sand out the brush marks, try and try no change! It’s really affecting the look of my furniture and causing it to two tone colour split with wood grain effect, quiet beautiful but still brush stokes remain. Just to mention the consistency is fine not problem like that. Hi Sam! I might try changing to a better quality brush and or thinning your paint slightly. Also sanding in between each coat can make a huge difference too! Hoping you can convince me to ever use DIY chalk paint again:) I just tried my first piece of furniture and don’t know if it was the furniture, my recipe, or me that was the problem. It is an older, dark wood cabinet with a hutch on top that the previous owners left us. I used 1/3 cup water, 1/3 cup plaster of paris, and 1 cup of cream colored eggshell SW paint. I used a whisk and there were no lumps, it seemed fine, but no matter how many coats I’ve done there are horrible brush marks and it’s still not covering the dark. There are also fine pieces of grit everywhere each time, and I’ve done two batches. I’ve had to sand in between each coat, and it still doesn’t look done. I’m about to paint over it with just the eggshell. Any thoughts on what I’m doing wrong? I’d love to paint a lot more things in my house without priming/sanding, and use paint I already have, but this was sooo much work, and I haven’t even waxed it yet. Thanks so much! Making my first DIY chalk paint, mixing plaster of paris with satin paint. So excited about painting my kitchen cabinets. My kitchen is a high traffic area, do I need to seal the finish with a poly or is the satin paint sufficient? Denise, I’ve found all of your posts so helpful! I have a big project I’m thinking of – I’d like to paint an entire room of wood paneled walls with chalk paint. Three questions: 1. do I have to seal/use wax when finished or can I leave it be – which leads to 2. If I were to clean the wall with a damp rag later on (dirty puppy tails etc.) – no wax used – will the chalk paint rub off? and 3. If i needed to touch up later, does it blend well like if it were basic flat paint (assuming I used flat paint in my mix?) Thank you!!!! Hi Ellen! Painting walls in chalk paint is gaining popularity but it’s good to keep in mind DIY or Brandname Chalk Paint is VERY porous so it may attract dirt, oils etc. Waxing entire walls is a HUGE job and I don’t know of anyone who has done this. Reapplication of the wax would be required down the road. You’ll be able to wipe your walls down without a wax topcoat (and no, it wouldn’t rub off) however depending on what type of dirt/grime has adhered, it may or may not wipe off 100%. Touch-up wouldn’t be an issue – same as with any other flat paint. I’m going to mix my chalk paint with the latex paint and I need to know how do you get the latex paint out of my brushes? with mineral spirits? Latex paint cleans up nicely with water or soap and water Nancy. No chemicals required even when mixing with any of the DIY Chalk Paint Recipes. We are in the middle of an inadvertant bathroom remodel after a leak. With the cabinets sitting on our front porch, it seems the perfect time to refresh them with some paint. I have to say I’m drawn to chalk paint mainly because of the lack of prep needed. 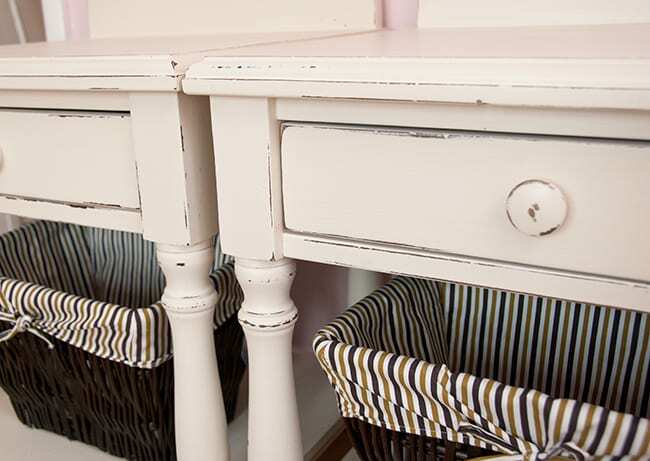 I am not looking to distress the furniture, but I like the soft look of the chalk paint as is. Will sanding it down after it dries distress it, or just smooth it out? Thank you for such a prompt reply! I’m getting going on it tomorrow, so it’s helpful to have as much information as possible. Why will wet distressing not work with HMCP? My guess is it’s because of the make-up/components of the latex paint Ted. Thank you for all the information. I’m in North Wales GB and have CC from Amazon. Really eager to paint a French Cain chair but I’m not sure what latex paint is. Is it just emulsion-water-based paint? I have an old tin of magnolia emulsion will that be OK before slight distressing? I want to decorate it with some decoupage so if you have any hints I’d be very grateful. Regards, imelda. Need to watch what the space is asking for ! Thanks SO much for your time! Can I add a darkener to existing store bought chalk paint? Thanks again! Pleasure Donna. 🙂 And yes, I’ve mixed brand name chalk paints with darker paints to darken the hue (chalk, latex, acrylic) and it’s worked just fine. I’m guessing a tint would work too. This is such a fantastic post! YOU ARE A GREAT DIYER and I thank you for your advice. I am about to embark on a huge DIY project in my parent’s home and I must get everything right OR ELSE. Denise I used websters additive to flat black paint but I guess I failed to mix it as well as I should have …I have these white dots coming up as I am sanding! is there any way I can fix this or do I have to. Re-do the whole thing? ? UHG! Thanks ! Black is finicky when adding a chalking product because it requires a REALLY thorough mixing. Unfortunately, I don’t know of any way to fix this Joi. Either don’t sand the piece (which may not be the finished look your after) or mix a new batch and start over. If anyone else has any suggestions – feel free to chime in. Thank you Kimm. 🙂 What I do is purchase the exact color of latex paint (in flat) that I want to use…then measure and add my chalking ingredient. No additional color needs to be added. Brian, I haven’t use lacquers but the professional painters M-M-M works with say some lacquers can and will yellow over time. There are non-yellowing polyurethanes (Varathane has a non-yellowing poly I use) and there are non-yellowing lacquers too. I believe it’s the Acrylic-Modified lacquer you should ask for but you might want to double check with a paint associate. Does adding the DIY recipe to dark paint like black change the color of the paint? It does not Sue however you have to mix the ingredient in THOROUGHLY. With the darker paints, if it’s not all mixed carefully, tiny specks of the chalking ingredient can show up. I painted an old chest using the POP and Valspar flat paint DIY recipe. It worked great but now I that is finished, I wish it had a shine to it. I have not waxed it yet nor added poly. Can I paint over it with semi gloss? I am wondering if I use a semi gloss over it if that would also work to seal it rather than use poly as well. Can you recommend a brand of semi-gloss poly, low odor, that will not yellow? I have heard that Varathane in the satin won’t yellow but I am not sure if satin will give me a little shine. I think high-gloss will be too glossy for me. Any thoughts? Just wrote about my fav poly’s on todays QTT which you can see here. http://goo.gl/Lcbr8Z . Varathane is definitely one of them and the satin will give very little shine Charlotte. If you purchase at Home Depot, they have product pamphlets for Varathane that show the difference between all the sheen’s. I was told to use Polycrylic on chalk paint as a sealer. Lowe’s here does not carry it but Home Depot has it. Minwax Polycrylic protective finish, water based. I used it one a drop leaf table and 4 Rattan chairs. It did a great job. Nice site! Enjoyed every hint and comment. Just painted a glass front cabinet with semi gloss white and I hate it so I will use cc recipe over it. Should I sand it first? If I don’t wish to sand to distress should I still wax it? If it’s a gloss, I would give it a very light sanding with a 220 grit. Nothing crazy… just like you would wipe down a kitchen counter. Chalk/mineral paint is very porous and easily attracts dirt and oils, so even if you don’t want the distressed look, its a good idea to seal/protect with a wax or poly. I have tried several DIY chalk paint recipes. I always end up having the same problem with all of them. To get a smooth, polished look on any piece of furniture, sanding with fine grit sandpaper or steel wool usually does the trick. It helps get a baby bottom smooth finish. Everytime I do this with a chalk paint recipe it leaves white streaks. I don’t like the rougher texture chalk paint leaves so smoothing it out is a must in my opinion. However, it’s hard to do that when it always turns the paint white. Am I the only one experiencing this? My recipe is always smooth, no little powder bumps. How do other people get a smooth finish? Wax itself does not smooth things out. No, I agree, there’s no point in putting a wax over a finish your not happy with. I’ve heard similar concerns when using a very dark color (ie black or blue) with the Plaster of Paris or Grout Recipes. The cause- it’s not been mixed into the paint 100% and tiny white dots will appear after a sanding. I’ve never heard/experienced this using a Fine Calcium Carbonate though… or white streaking?? Could it possibly have something to do with the paint your mixing these recipes with? Pleasure Stephanie. Yes, I usually do sand between each coat. If I’m looking for a more distressed/rustic look, then sanding at the end works just fine. 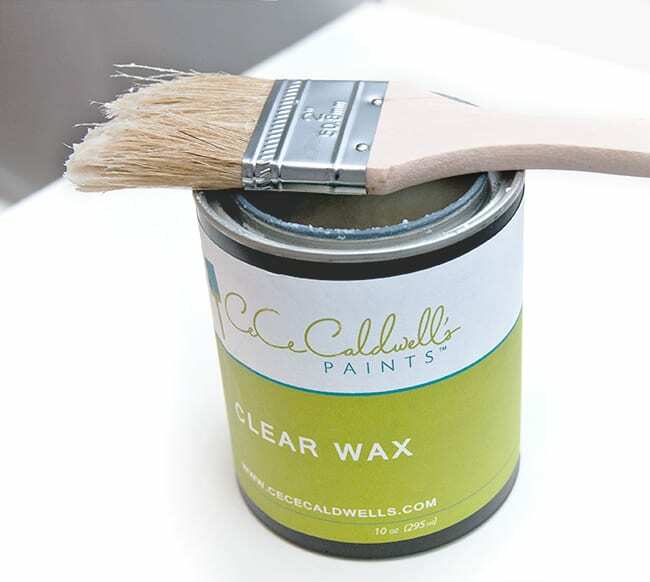 Can you use paint and primer in one to make chalk paint with calcium carbonate powder? I have Behr paint and primer in one and I read that primed paints don’t work so well for chalk paints. Is that true? Larisa, I’ve used the Behr paint and primer in one and it worked just fine but I have heard others say they’ve had some issues. It may depend on the brand or the sheen they were using? Not sure. I get the very best results with flat/matte latex without the primer though. Can you give any recommendations on creating a distressed look with a blonde wood? I want to paint it blue, but the light wood would look strange if I sanded to distress. Would it be best to just paint and add a dark wax? Definitely Kat! Mason Jars would be a great storage container for HMCP. Not only can you store your paint in mason jars you can fit it on you blender base and use blender to mix right in mason jar. Works great. I would like to paint a sea-grass hassock…has anyone every painted sea-grass? Would chalk paint work? I thought a dry-brush paint process rather than a ‘wet’ one, which might turn the sea-grass to mush or make it swell. I appreciate comments! Love reading all your tips! We are trying to antique an old mirror. We found some chalk paint we liked, not knowing exactly what it was. We applied it over the dark brown of the original frame.. Now, can we just sand it to get to the brown, and then add some dark stain? Or, will this ruin the pretty color of chalk paint? Suzi! 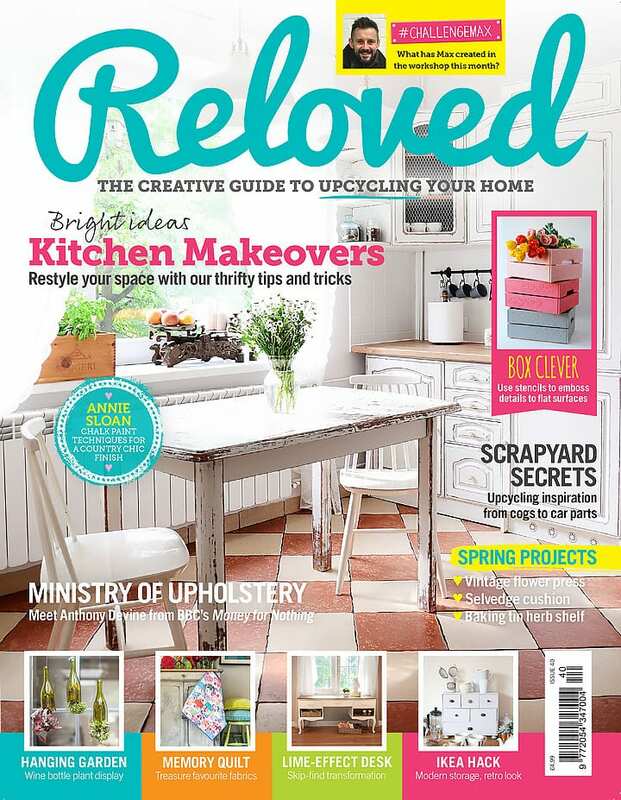 Thanks for mentioning – I had heard about Floetrol a few weeks ago and wondered if it could be used with chalk paint…. but it looks like another trip to the hardware store before I can start! we are just starting to use and make this wonderful paint. when i store wall paint the can is upside-down–would that work for chalk paint? If you properly sealed (and maybe even bagged your container) of HMCP, I don’t see why not Lettie. I have never stored my paint upside down. I’m afraid the paint may leak out and cause a mess… but there are professional painters who do this to prolong the shelf life. I have made up my chalk paint using calcium carbonate which I sourced from a horse supplies store in the South Island. I have made up two batches, using the recipe from Denise, adding a small amount of water to the chalk before adding it to the paint. 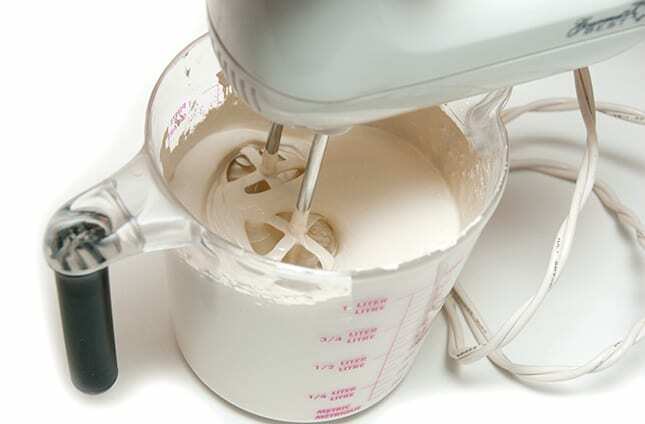 I mixed it in an old food processor. However, after painting two items I felt that the paint was not as smooth as I would have expected and dried quite rough in some places. I did sand it but even the second coat needed sanding. Is this usual? Caryl, this is a little unusual. Especially if it was mixed thoroughly with a food process. I use only the finest grade Calcium Carbonate (Human Grade CC Supplement) and it always turns out very smooth. I’ve heard mixed reviews with other ‘types/grades’ of Calcium Carbonate. 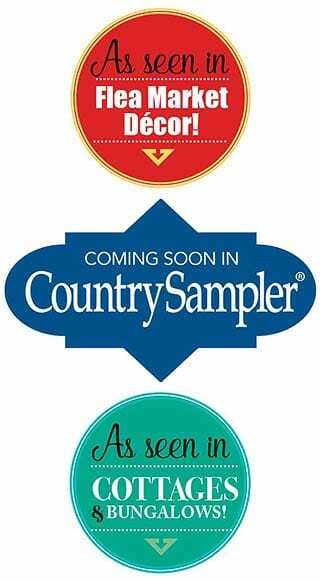 The roughness may not have been anything you did but possibly the product/brand of CC being used. My chalk paint is pulling the previous coat off or at least streaking it. What have I don’t wrong with my mixture? I used plaster of paris, water and paint. thank you for your help and for your useful tips. Chalk paint is great but too expensive so this diy paint is great. I’ve done one piece and all worked great, but this second piece with a different color is not painting so well. Thanks for the help. It sounds like your mixture is fine. Is it possible your first coat wasn’t 100% dry before applying the 2nd coat Susan? I am doing lots of research before starting my first project. 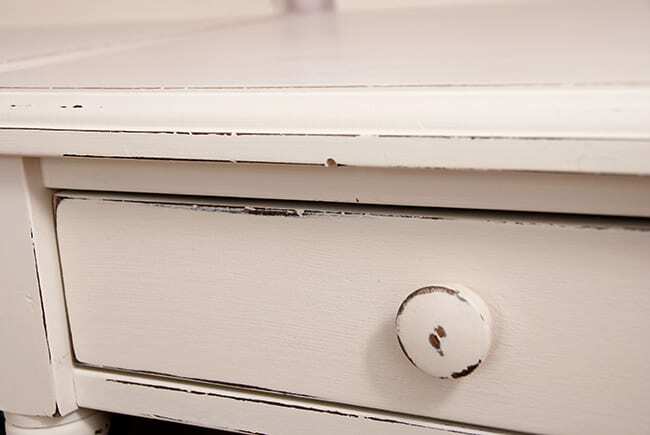 It seems some woods and stains will bleed through the chalk paint, especially once you apply the wax. To prevent this, it is reccommended that before you apply paint, you apply a shellac, like Zinsser’s clear wax. Yes Ellie. 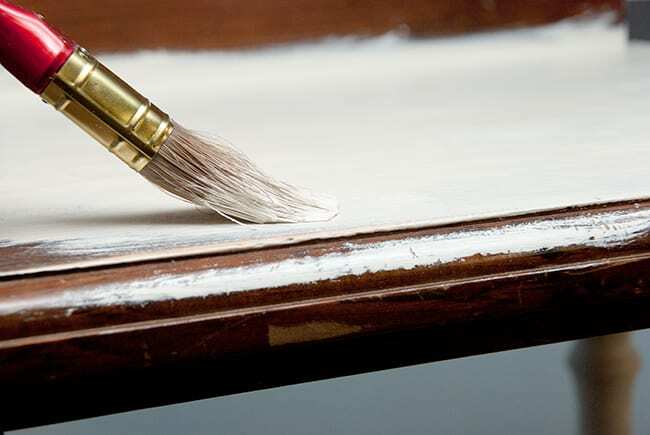 It’s possible bleed through will occur with some woods high in tannin – especially when using white or light colored paints. Shellac or a shellac based primer works nicely. If this “kids-type-crafter-paint” is acrylic paint (water based), it should be no problem Jennifer. Hi Denise, I made some chalk paint from CC and acrylic paint and added a tint I bought at the paint store. I iced the tint with a small amount of water. I didn’t read that the CC had to be sifted. Anyway my paint is super thick…and lumpy…is it still useable? I’m unfamiliar with adding tint or icing Mel, so I’m not sure what effects it would or wouldn’t have. But super thick can be remedied by thinning with water however lumpy is more of a concern. If you give it a thorough mixing and it’s still lumpy, I would start with a fresh batch. Professional painters carry cheese cloth to strain out “uh-ohs” ~a $2 package lasts me about 3 years and allows me to reuse leftovers, etc.! Love this tip Dean! Thanks! Has anyone used the homemade chalk paint to paint fabric? I am trying to recover an old chair but want to avoid having to strip and reupholster. Chalk paint works great on fabric. I used satin blue paint and it is wonderful. My chair had a raised floral pattern and after painting the pattern was still there but the color was a beautiful solid blue. Feels like leather after you wax it. Also have used Textile Medium with satin paint and got the same result without having to wax. Recipe 2 parts paint, 1 part medium, 1/2 part water. A friend used the medium recipe and did a beautiful silk chaise that shines and feels like leather. Textile medium is a liquid you mix into paint to make it better to paint on fabric. You can usually find it at Walmart and craft stores. What web site did you find the calcium carbonate at? Amazon.com Debbie… a direct link is included in the post. I want to try painting upholstery using chalk paint. Do you know how any of these recipes work for fabric? I don’t Jessica. I’ve never tried DIY ChalkPaints on fabric so I couldn’t say for sure. If you try it, I would LOVE to hear your results! Thank you so much for all this wonderful information. I just used your recipe for chalk paint using baking soda. Before I mixed the baking soda with the paint, I sifted the baking soda twice with my flour sifter. It worked great. I did not have any lumps. I painted a chair and letting it dry now. I am so happy with the results. Will keep you up-dated after it dries. Thanks again for your great tips and recipes. Thanks for sharing this Nancy… sifting!… great tip! Were you happy with your end results using baking soda sifted twice? Thanks. Hi Denise! Thank you for all of your HELPFUL information!! I had a question about distressing/finishing a piece. If I wanted to use a dark wax over the DIY chalk paint, would you recommend sanding the piece after painting it to expose some of the wood and then applying the tinted/dark wax? Or would it be better to sand the piece in the areas that you want to expose and add a dark stain and then add a clear wax? Thank you for any information that you can provide. These are 2 different looks Marlee. 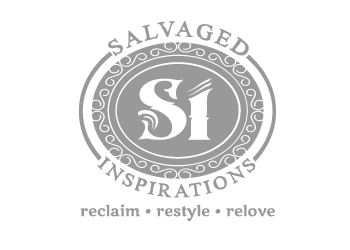 If you want your sanded distressed wood to look STAINED and then the rest of the piece clean and NOT antiqued looking, then your 2nd way is best. If you want the sanded distressed wood to be NATURAL and the entire piece have a dark waxed antique patina, then your 1st method is the way to go… both ways can look very striking! I’ve read every comment and all the tips and ideas regarding HMCP etc. I’m definitely going to start painting my furniture!! And it’s about time!! However…I do have a #1 tip for those of you who use ANY ACRYLIC PAINT i.e. ; as in art paint. DO NOT!! WASH YOUR BRUSHES OR POUR ANY WATER THAT HAS ANY ACRYLIC PAINT IN IT DOWN YOUR SINKS!! I SPEAK FROM EXPERIENCE AS I AM AN ARTIST, I PAINT WITH ACRYLICS AND I ALWAYS POUR MY WATER OUT AND WASH MY BRUSHES IN A SPECIAL PLACE ON MY PROPERTY… BECAUSE ACRYLICS REALLY MESS WITH THE PLUMBING OVER TIME. And now I’m starting to think I’ll just do the same with my new CC paint…it never hurts to be on the safe side of “PLUMBING ISSUES.” Best wishes and thanks Denise for your sight. I may end up having to contact you with some questions! Feel free to contact me anytime Lori… and thanks for the tip! Hi. I have a question. I am getting ready to try my own chalk paint but have a question. I bought semi-gloss instead of flat paint. Will it still work or should I go purchase another quart of paint? Ugh….I never thought about it and just bought what I normally do to paint with. Sigh. Any experience with this? Thanks for all the helpful info! I can’t wait to try it. I’m using the plaster of paris mix cuz I couldn’t find any powder calcium carbonate and I’m wanting to start this tomorrow. Love all your info! Thank you! Heidi, I’ve used semi-gloss with the CP Recipes and it works just fine. However to get the “chalkiest/flat” finish, a matte/flat/eggshell paint does work the very best. Have fun! Thank you for your thorough tips and comparison of the different recipes. This may be a no-brainer, but is this recipe suitable for use as an actual chalkboard? Or simply as a paint for distressed furniture. If so, is there a certain brand of chalk or chalk pen that you do or do not recommend on these recipes? I’m interested in the calcium carbonate recipe. Just came across this blog post. First THANK YOU Denise, for compiling these various recipes and critiquing them! Secondly, for Kellie: as you know, there is commercial “chalkboard paint” available nowadays (for a higher cost of course!) but you can simply and effectively use FLAT black oil-based paint to create a blackboard. Yep – that easy. We had a large chalkboard (used to be known as a blackboard because they were originally made from slate) that my dad made from a sheet of sanded 1/4″ masonite (available in most DIY stores and sold in 4×8′ sheets; it may be called something else these days, but same stuff; you can cut to desired size, sand face and edges and you’re ready to paint) using nothing but OIL-based flat back paint applied with a roller. That was in the early ’60’s and since then my own kids grew up ALWAYS with a blackboard in our house. My sister discovered Flat Wrought Iron Black paint (I think she used a Pittsburgh) was her favorite. I have used several different brands over the years.